An example of a woman that Sarah’s Circle has helped this past year follows. Mary-Ann’s main problem for the last 14 years had been housing stability. She was sometimes able to stay with relatives, but had been homeless off and on for over a decade. Mary-Ann also lacked steady income because of a mental health disability, which prevented her from being able to work. Yet because she had previously been denied benefits, Mary-Ann believed she was ineligible for SSI. Finally, with hard work and determination, Mary-Ann and her interim housing case manager at Sarah’s Circle were able to achieve her long-term goal of securing a permanent home. Yet this is not the end of Mary-Ann’s story. When Mary-Ann was first told about the Health Access for Formerly Homeless Women program, which provides targeted support and linkages to long-term healthcare after housing placement, she saw no need for continuing services. She had already achieved her major goal of securing permanent housing and wanted to handle things on her own. “Thank you very much for your help finding housing. I am doing fine,” Mary-Ann explained, though she agreed to check-in phone calls. The next month after several phone calls, Mary-Ann agreed to a home visit, which proved to be pivotal. Mary-Ann finally admitted that she was no longer “doing fine”, as her symptoms of Post-Traumatic Stress Disorder had been exacerbated by living independently. Mary-Ann was not only experiencing nightmares and flashbacks, but she was also experiencing auditory and visual hallucinations and had become severely depressed. The Advanced Practice Nurse addressed Mary-Ann’s immediate severe symptoms with medication, but also took the time to conduct a holistic health assessment with Mary-Ann, taking into account social, physical, mental, and financial factors. 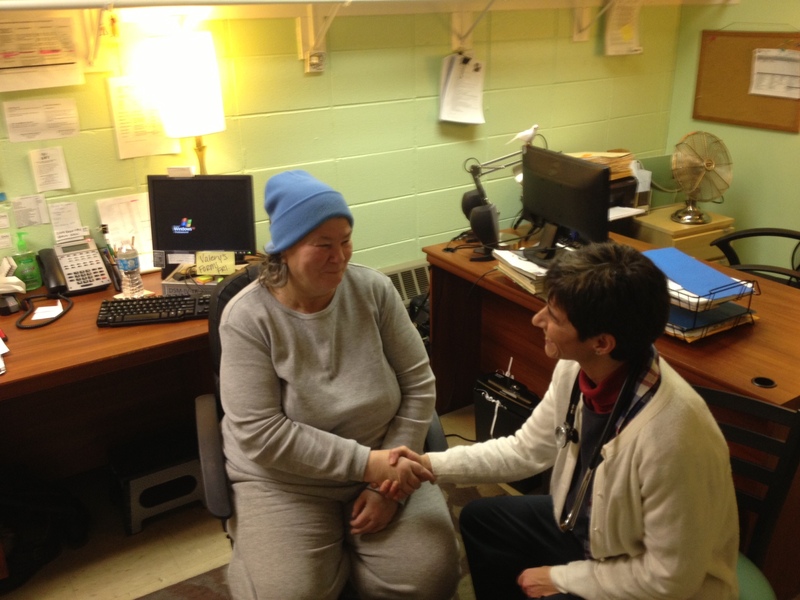 This assessment helped Mary–Ann recognize that in the long-term, she would benefit from having preventative healthcare, addressing her mental health needs, and securing a sustainable source of income. They agreed to a short-term plan of action, which included visits with the Clinical Case Manager. The Clinical Case Manager then began working with Mary-Ann to provide immediate clinical counseling, find permanent physical and mental health care providers, and apply for SSI benefits. Today Mary-Ann is really doing fine. She has made a permanent home of her apartment, accesses physical and mental health care, and has applied for benefits with assistance that greatly increases her likelihood of receiving a positive determination. A grant from the Washington Square Health Foundation helped Sarah’s Circle to start the Health Access for Formerly Homeless Women program in 2012. By providing this targeted support, Sarah’s Circle works to improve housing retention and end homelessness permanently for Chicago’s most vulnerable women.